Vikram Chandra has made a living as a programmer and also written award winning literary fiction. In Geek Sublime he reflects on the writing of fiction and code, their points of connection and departure, drawing on his own experiences and the observations of others. In particular, he makes reference to literary theory, especially that relating to Indian texts, languages, philosophy, mythology and poetry, using it to reflect on ideas of the structure, aesthetics, logic, and the work of text as fiction and code. In the main it’s an interesting read, engaging with ideas little used in the consideration of code, but it is a little to uneven in its analysis, and also lopsided in its treatment of fiction and code, with too much attention paid to the former. Indeed, while there is some engagement with literary theory, there is no attention paid to its equivalent of software studies or critical code studies, though there are some references to computer science views of programming. Nor is there any reference to code poetry, the most obvious example of where code and fiction directly interface, or in thinking about code in relation to storytelling, for example in framing and generating the narrative of games or CGI movies. 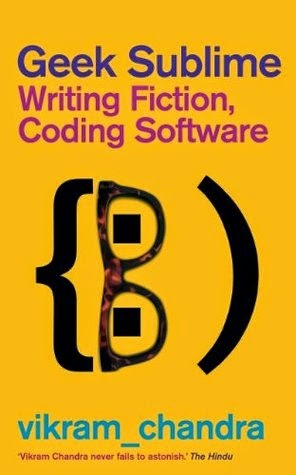 Overall then, an interesting read that introduces a number of new ideas, but is somewhat uneven and limited in its comparison of writing fiction and code.